Passing this exam validates the skills and knowledge necessary to implement the Windows Server 2016 core infrastructure services. This exam covers key aspects of installation, storage, compute, networking, and identity functionality available in Windows Server 2016. 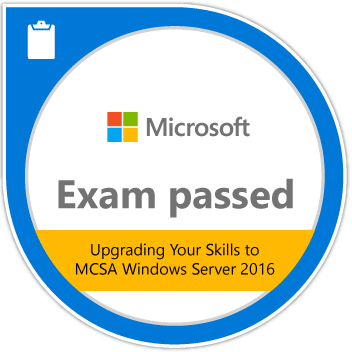 Candidates have already earned an MCSA: Windows Server 2008 or MCSA: Windows Server 2012 certification.